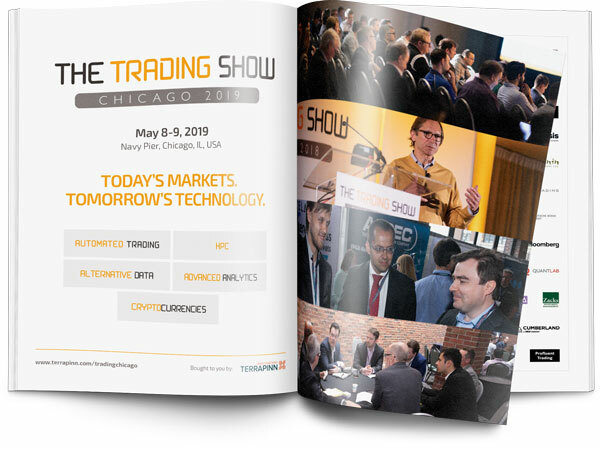 Download the Trading Show Chicago 2019 Sponsorship Prospectus to see how you can get involved. The Trading Show Chicago is the only event that combines quant, automated trading, exchange technology, big data and derivatives. Whether you’re focused on new quantitative models, adopting low latency systems or managing risk, The Trading Show Chicago provides unparalleled opportunities to network and ultimately do business with top trading firms, quant funds, international exchanges, end investors, banks, brokers, and technology providers.